This is one serious piece of ink by Brown Nevarez of Texas Taboo Tattoos. It took over 4 months of work to piece together. But I think you’ll agree the results are amazing. The colors are seriously sharp. 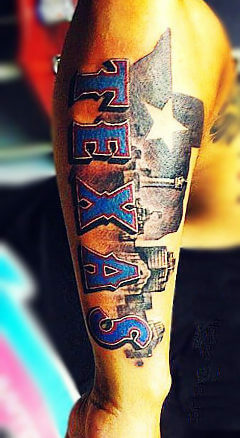 Look out for customer Robert around San Antonio sporting this fine piece on his back. This is one piece of ink that will definitely be staying for life, don’t you think? Wow – seriously love this guys work.